If I recall, didn't a guy from Nnooo join WiiWare Wave? But yes, that sounds like a good starting point. I posted 20 posts yesterday. So you like eating lunch? No I currently am Workign on Three lists for Lunch.com. So im not going to be here for a While. You guys should check ut some of my lists and reviews on that site. There is currectly one featured on the front page. Darn it's so inactive today on the forums. This is the second time I have visited WWW today. Only 10 posts today? Seriously!? Come on guys you need to post if you want a response, just waiting for someone else to post isn't going to accomplish much if they are also waiting for you to post something. ATTN Staff: We ourselves need to be more active if we don't want to start losing members. I was spending the Weekend with my mother, for Mothers Day. Sorry for double posting everyone, but for some reason the website gave me an error during my last message saying that only users with special privileges can post excessively long posts? If we are on top our game, then E3 Week should have tons more activity. That's true KingreX32. It's just slow news-wise right now. There's very little to discuss aside from the odd WiiU rumour. It's just this site that's slow. Other sites I visit have really slowed as well and they have much bigger bases. Once E3 hits, the news and posts should be pouring in again. In the meantime, maybe we can post some opinion pieces or such to generate content. I was thinking about doing that. I even started my rough Draft. Although I personaly think It should be a massive Staff article. Were we all contribute. Staff Disscussion. Gamerace if your up to it. I will spread the word to the other staff. @KingreX32 wrote: I was thinking about doing that. I even started my rough Draft. Although I personaly think It should be a massive Staff article. Sure. Although I may not get to it as fast as I'd like atm. Discussion of what though? What Nintendo needs to do to 'Win' E3? 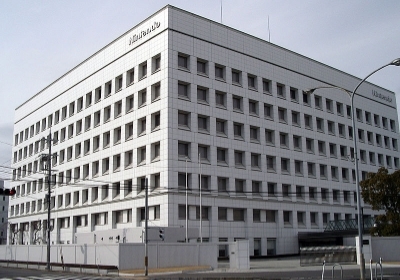 Where Nintendo needs to go to maintain both casual/core base? Where we want to see wiiwarewave aka NintendoWave.com go and evole into? Thats exatly the name of my Article. What I expect to see from Nintendo at E3 2012. There has been no posts here for over 12 hours. This is not good. Guys we cant let this forum die. WE have achived too much. I'm still here! Lately, there just hasn't been any topics that have motivated me to post. I usually don't post anything unless I'm interested or have found some purpose in doing so. usually when that happend i try to post new topics. Ive noticed that we keep replying to old topics and new ones are most never made. Nintendo is slow lately, but when E3 comes expect many new topics. Things are quiet again despite the fact that E3 hasn't ended just yet. I have noticed that E3 didn't give the bounce that WWW. Heck even Ninja News Fan Page had a slightly more successful and that's odd! I wonder... I know there's some people on this forum because it's the only forum they can read from a Wii (their only internet connection) or old computer. If there are a lot of these people, presumably they won't be getting a WiiU anything soon, and so the lack of Wii news and lack of new 3DS news might not have left much to talk about. @gamerace wrote: I wonder... I know there's some people on this forum because it's the only forum they can read from a Wii (their only internet connection) or old computer. If there are a lot of these people, presumably they won't be getting a WiiU anything soon, and so the lack of Wii news and lack of new 3DS news might not have left much to talk about. One option for wiiwarewave is to just remain a Wii/DS site. Which granted is a dying market but as all other Nintendo sites drop all Wii coverage and conversation, Wii/DS only owners might gravitate here. A lot of retro systems have dedicated sites for collectors and fans. This could become one. That is, if that what the community here desires. Wouldn't help NNN though. That could be idea for those here however even that market has some large and impressive forums out there and would even cut down our chances of finding new members even more than we have at the moment. Plus I think the members here are keen to use the Wii U and the next big event which is it's Launch to help boost the numbers here. Articles and Reviews of the older console would dry up in time too. The fact that hardly any news or titles that weren't already announced were shown at E3 probably accounts for the slow activity and no offense, but this year Nintendo was pitiful at E3 "no new news" "barely any new games announced" etc. poor E3 performances like this can really hurt company specific video game media websites like ours. Brian wrote: The fact that hardly any news or titles that weren't already announced were shown at E3 probably accounts for the slow activity and no offense, but this year Nintendo was pitiful at E3 "no new news" "barely any new games announced" etc. poor E3 performances like this can really hurt company specific video game media websites like ours. While there wasn't much of new stuff from Nintendo - there were new games, more information, Miiverse, and the buzz around E3 there should be have been more posts on WWW. Heck even NNN experienced some big number during those days. Up from the average of 3000 hits a day to 8000 during that period and the Fan Page did very well. Only 32 members but the stats showed it was outscoring my other fan page of 480 members. I think gamerace was on the money about what our member are interested in. If the active members can only afford a Wii console to access their internet then why would be interested in a 3DS or a Wii U? Many of us own a 3DS too, but there weren't any surprises from the Nintendo 3DS conference either which was very disappointing. So then the question becomes how do we keep attracting new members? That's a struggle for all sites. You need exclusive content. Unless you're breaking a story, it's the same news everywhere so it's the articles and things like the developer interviews that have to pull people in. We havent been tweeting as much as we used to. But yeah I agree with gamerace. Im trying to think of what I can do. We'll try and figure something out. I'll start thinking about it for both sites. gamerace, you're SO right about those developer interviews. That type of exclusive content is definitely what we need more of, so we can attract new members. We also need that type of exclusive content, so we can keep our current members returning on a regular basis. Weernt we supposed to have another interview up? I saw the announcment a few weeks ago. Whats happened with that. It's too lonely on the forums today. Where is everyone? Right now there are 4 users online 1 registered user, 1 guest, and 2 bots. The forum's actually doing very well this month. All forums have a few quiet days a month. what going on with NintendoNinja News. I havent seen any new activity on the website for a while.